Avi Joiner Classic uses a highly optimized, fast and seamless AVI joining method to produce amazing lossless AVI, Divx, XivD files. Avi Joiner Classic uses a highly optimized, fast and seamless AVI joining method to produce amazing lossless AVI, Divx, XivD files. It has never been easier to join or rearrange your favorite AVI, Divx, XviD, MPEG2, MPEG4 (all other codecs supported) files together into 1 single file for an uninterrupted viewing enjoyment. 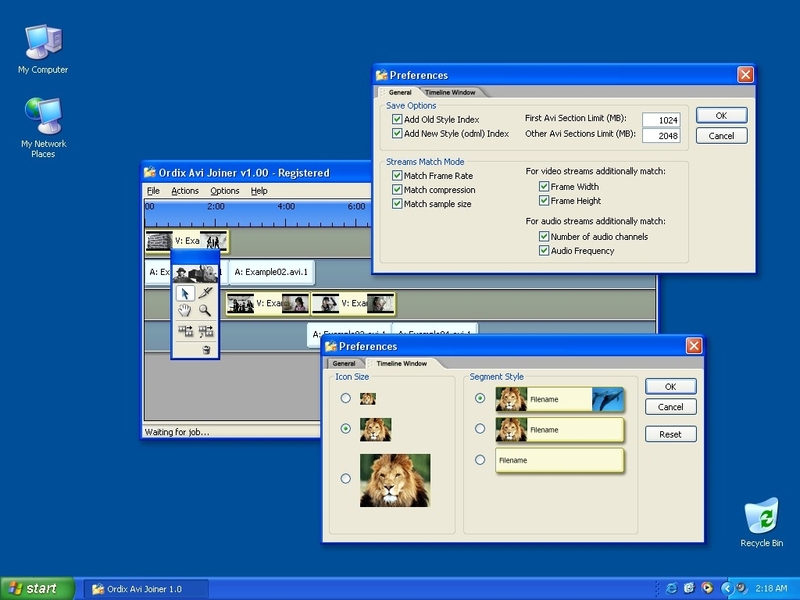 Our Avi Joiner Classic will join any avi files into 1 single video file with no quality loss! We invented an extremely optimized video joining method, call the "Da vinci" algorithm, which generates fantastic lossless video quality solution at the fastest speed your harddisk can provide. If you want quality without compromising speed, with greater flexibility in joining your video files, Ordix Avi Joiner is your perfect solution! Ordix Avi Joiner is very easy to use, and better yet it's fully functional shareware. Get your copy Ordix Avi Joiner and edit your video files like pro today!